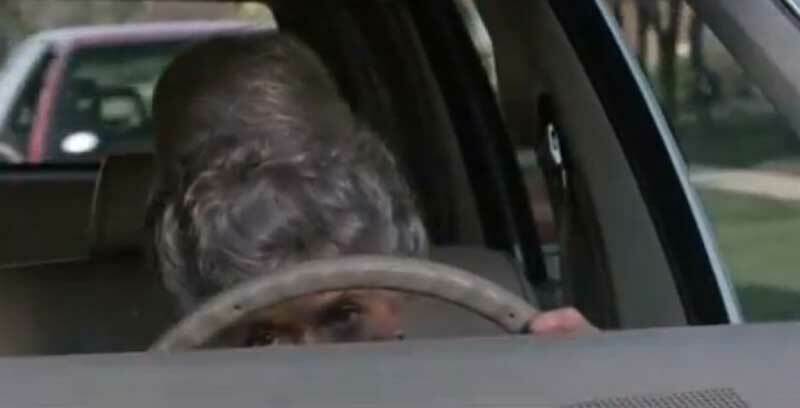 An woman from Ottawa, Canada, is facing criminal charges alleging she dressed up as her elderly mother and took a driving test for her, according to police in Smiths Falls, Ontario. An examiner at a DriveTest centre in the community southwest of Ottawa became suspicious of a woman who showed up to take a driving test on June 9, according to Staff Sgt. Rick Labelle of the Smiths Falls Police Service. A 73-year-old woman was supposed to be taking the test, but the person who showed up in a wig, glasses and "clothing suited to an older person" appeared to the instructor to be younger, Labelle said. The examiner relayed the suspicion to a supervisor, then headed out with the woman to conduct the test in a vehicle. The supervisor called police while the test was happening, Labelle said, and an officer was waiting at the centre to question the woman by the time the test was done. Police allege it was the test subject's 39-year-old daughter who actually took the driving test. "It turned out she was taking the driver's test on behalf of her mother, and had told the officers she did that because her mother was nervous about taking her test," Labelle said. "So she was trying to do her mother a favour so that she could have her driver's licence extended," the officer said. "This was an out of character thing that she had done just because she wanted to help her mother out." The woman was arrested and was charged with one count of impersonating an adult. Labelle said he hasn't heard of a case like it. "This is the first time I've heard of something like this in the 29 years that I've been on the job. "It was quite an interesting occurrence and the officer was surprised with it himself because he had never encountered anything like this before," he said. The 39-year-old, from the village of Kars in rural south Ottawa, was released from custody on a promise to appear in court in Perth, Ontario, in July. "She had explained to us that she was doing it on behalf of her mother to do her a favour because her mother was nervous about taking the test, but ... the way our system is structured, we want people to be proficient and capable to drive a motor vehicle," he said. "Certainly if someone has difficulty doing that, it presents a danger to the public at large."